eMarket Education, a digital marketing training institute located in Bangalore, India offering training in digital marketing channels including SEO, PPC Google AdWords, Social Media & Google Analytics as a whole. It strives to give the best online marketing knowledge to it’s students in both practical and theoretical aspects while educating them to take greater responsibility in Digital Marketing specialization in any organization. 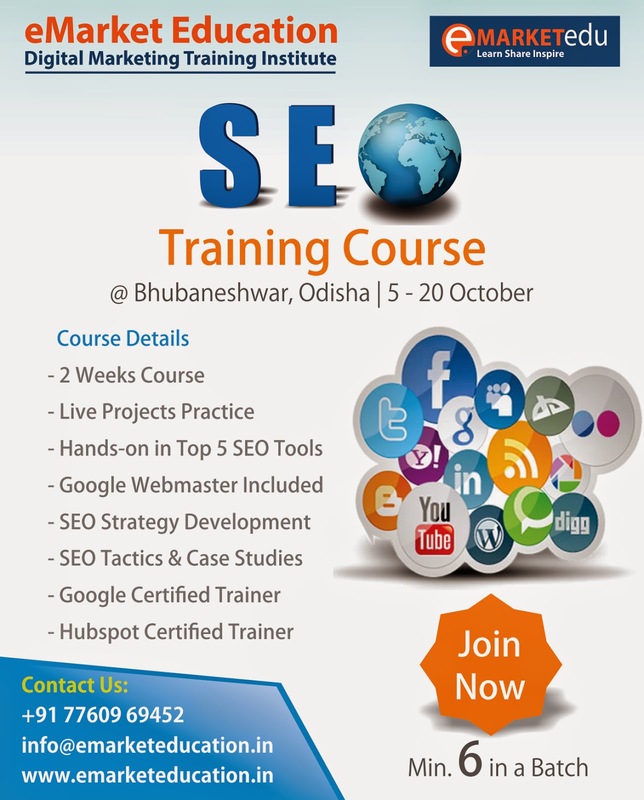 Regarding the Digital Marketing Crash Course program, Ranjan Jena will be offering a customized & practical session for students pursing or completed engineering / management, freshers, job seekers, working professionals in Bhubaneswar, Odisha to explore and advance in Digital Marketing topics, tools & tactics, which is the next-generation job as everything is turning to Web/Internet. Also click this link: “The Economic Times, which will surely help you in taking a decision to join this Digital Marketing course or not? 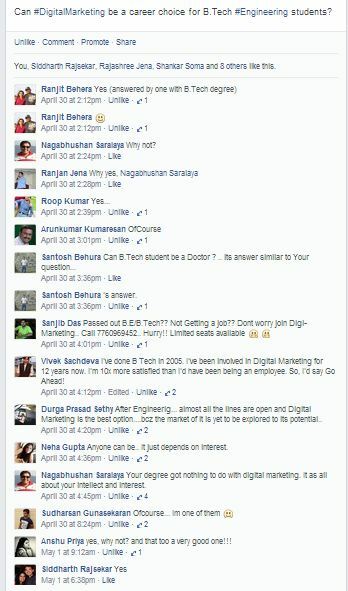 As a part of research , here are few comments from Facebook friends on the query; Can Digital Marketing (SEO or Google AdWords PPC or Social Media) be a career choice for B.Tech Engineering students? The Digital Marketing training program is designed to teach any passionate candidates the best of being able to understand, plan, implement and accomplish digital marketing promotions & performance around a given goal or objective for an online business. 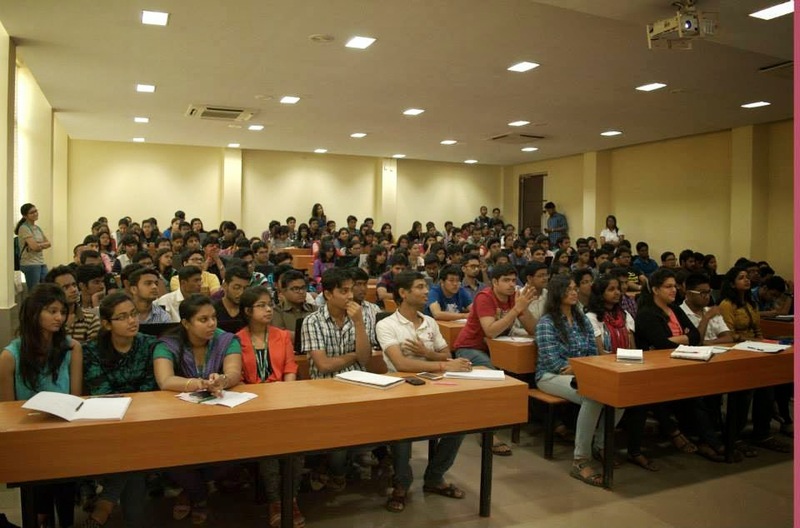 List of companies where our digital marketing graduated students from Bangalore have been career places are: Yahoo India, CommonFloor, Grank, Regalix, Vayama, Refine Interactive, mFinite etc. Note: Regarding Job Placement support, we as an organization is only committed to deliver the best of learning to perform in an interview, and if any chance, we get to know about a given job openings within our network or company’s calling us from Bangalore, then should be able to connect. 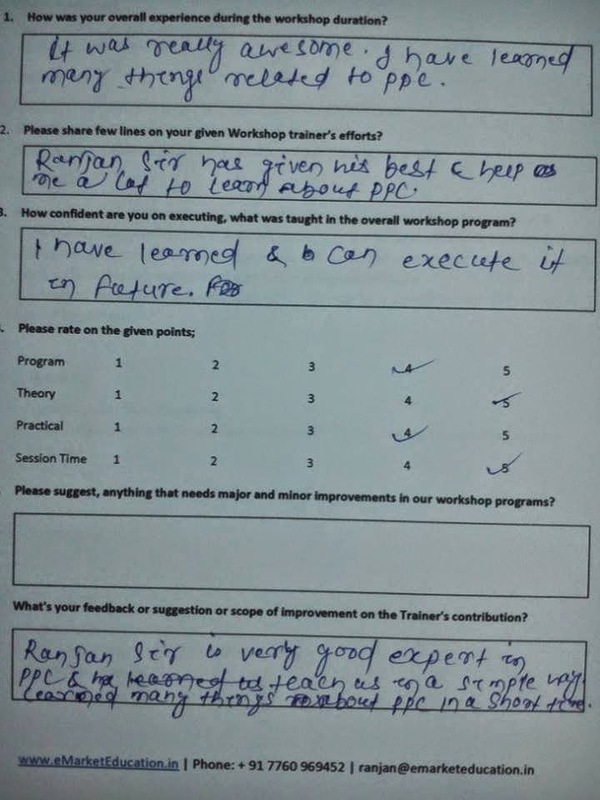 As part of the course, each candidates will be trained on, how to rank for their own blog site or any of their existing projects (they can share with us) to perform in many future projects with learnings in tools, optimization and reporting techniques followed by a final examination. The trained Google & Hubspot certified faculty trainers will assure 100% guidance, consultation and support during or after course completion. 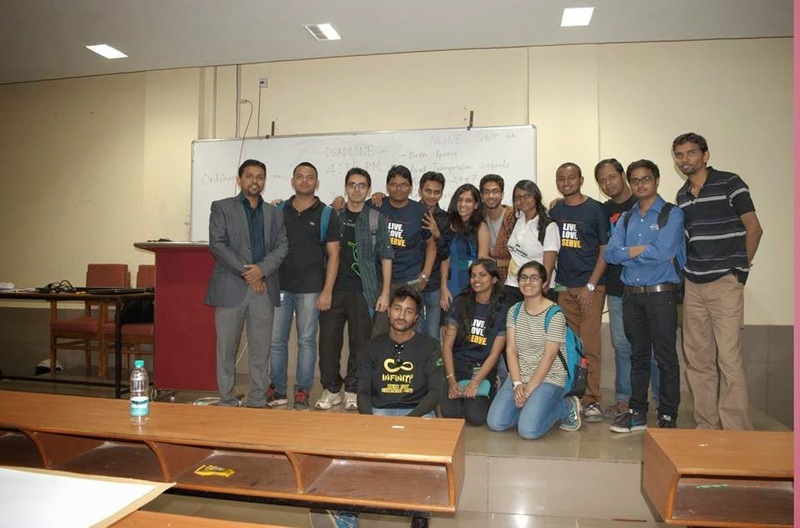 An initiative by the Google Student Community KIIT (a reputed community from #KIIT University) conducted 'Workshop on Digital Marketing' as part of their National Annual Techno-Management Fest "KIIT FEST 2015". Love to DO more in Coming Days! All the Best. Thanks to the Google Student Community KIIT team esp., Shubhendu, Ujwal, Surabhi, Bhavna, Akash and others for extending this great opportunity to learn, share, and interact with Engineering students on Digital Marketing to support them with their first career step towards Digital Industry. 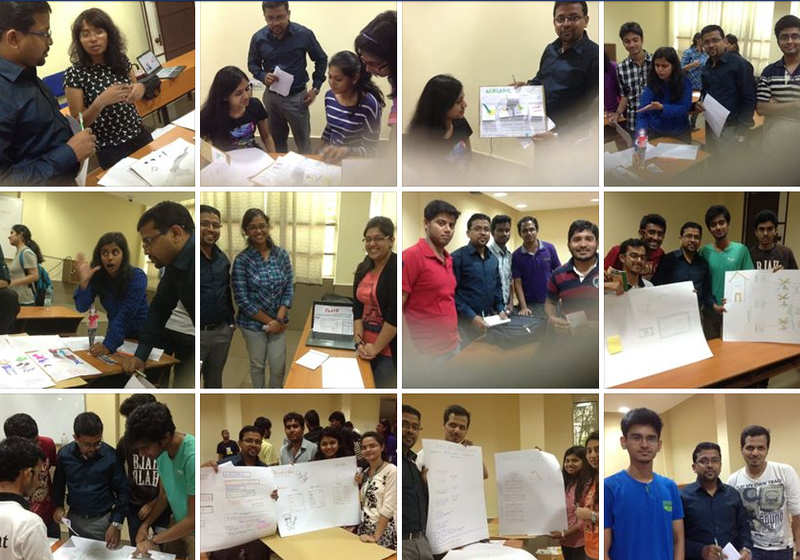 Prototype Designing Competition at KIIT Campus Bhubaneswar - "Digital Marketing in Online Shopping"
The main purpose of Prototype Designing competition was to create better user experience in #OnlineShopping with zero redundancy. Brainstorm on what are the advantages and drawbacks of OnlineMarketing and think on ideas to overcome those drawbacks and improve user's experience in online shopping. I was amazed experiencing the creative ideas by KIITs Students towards their views, opinions and suggestion in Online Shopping to help innovate a better User experience online. At last, Congratulations to all the teams irrespective of who won or not, for your brilliant ideas. To be frank, I learned a lot from your pictorial presentations, designs, discussions, and the best being, Working as Great Team to complete this task in 2 Hours Time. All the Best for Your Future. Lets' Keep Connected. 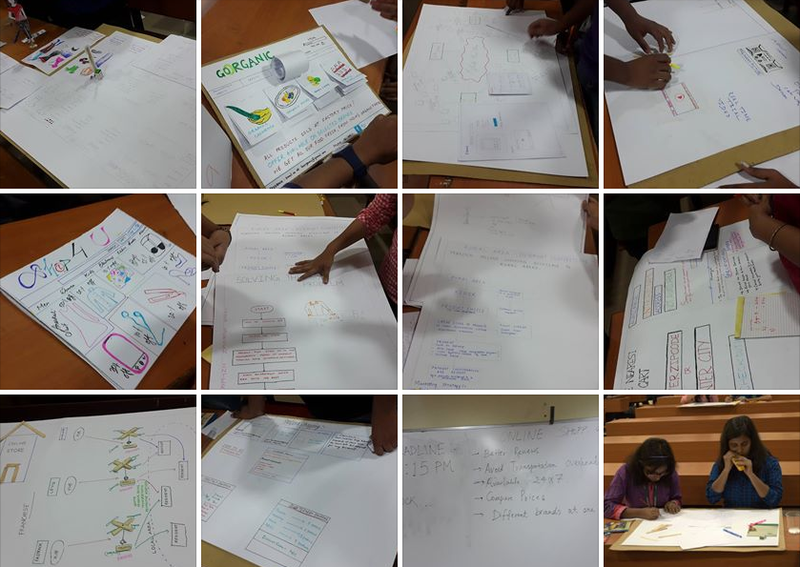 Thanks to Shubhendu Kumar Bhavna Sinha Akash BhatUjjwalkausaj Verma Surabhi Sinha Surbhi Prakash Chitrali Singh Swastii Ray Thanks to Google Student Community KIIT allow me to discuss with this 90+ participants in showcasing their innovative ideas and talent. 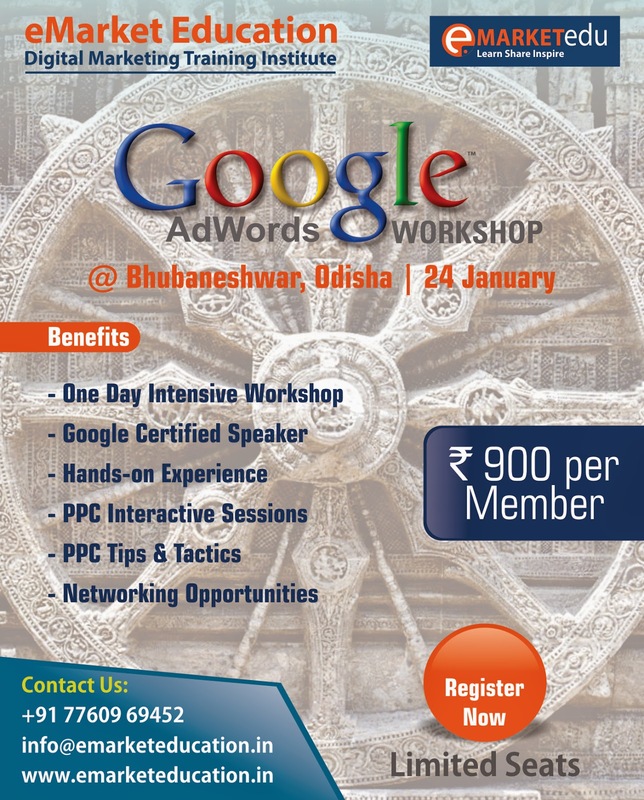 Glad to start my 1st Google AdWords workshop of 2015 on a very auspicious festive day in #Bhubaneswar Odisha called "Saraswati Puja". Though very limited members, but then satisfied to deliver a good presentation that was appreciated and found very informative by the attendees. Also thanks for your valuable feedback, it means a lot for me to help do the best again & again! eMarket Education is organizing a 1-day intensive digital marketing workshop session about PPC Google AdWords and how to achieve maximum value from your PPC AdWords account campaigns in Bhubaneswar, Odisha. eMarket Education, a digital marketing training institute located in Bangalore offering courses in digital marketing including SEO, PPC, Google Analytics, Social Media & Digital Marketing training programs. It strives to give the best knowledge to students in both practical and theoretical aspects of Internet Marketing while educating them to take greater digital marketing responsibility in any organization. No matter what your Digital Marketing budget or how little time you have to capture market, you can reach new customers and grow your business aggressively using Google AdWords. The Google AdWords workshop will add immense value to attendees, who are completely new to Google AdWords or have previously created an AdWords account but do not necessarily know, how to best structure and optimize campaigns for optimal results in Google search results. With PPC Google AdWords, you can choose where your ads appear, set a marketing budget that’s comfortable for you, and easily track and measure the impact and ROI of your advertising campaigns. Whether you have an online or offline business, this Google AdWords workshop will teach you, how to reach people exactly, when they’re searching the Internet for what you offer. - Website Analysis: Understanding Client’s website as well competitor sites to come up with a good PPC digital marketing strategy. - Campaign Structuring: Learn, how to structure the best campaign & adgroup structure for better budget optimization, campaign management and target deliverable. - Comprehensive Keyword Research: The absolute center of every digital marekting campaign is KEYWORDS. Learn the effective methods to discover and research specific & ROI keywords. While keywords are the lifeblood of Google AdWords, perfecting your research with right short or long tail keywords while controlling your negative keywords can drastically increase your overall revenue. - Quality Score: Quality Score has a larger effect on your account’s visibility than any other setting inside of AdWords. 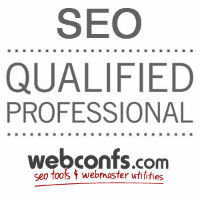 Quality Score helps to rank your advertisement in top results with lower cost. Receive step-by-step instructions in, how to prioritize Quality Score improvement, and what actions to take to increase your Quality Score. - Campaign Settings: Step-by-step explanation of campaign settings for best optimization utilities of your Google AdWords account. - Integrating Google AdWords with Google Analytics: How to link your AdWords account & Google Analytics property that gives access to the entire picture of customer behavior, from ad click or impression through your site to conversion. Once linked, you can use insights from Analytics to refine and optimize your AdWords campaigns, improving the overall performance of your business. - Strong Basics Optimization Techniques: The best basic optimization techniques to help you excel in your campaign objective or achieve your PPC targets around Branding or Conversions. - Networking Opportunities: Workshops are best places to network and meet fellow practitioners of online marketing. Lunch & Tea breaks will be suitable times to have a better interaction with your fellow attendees. 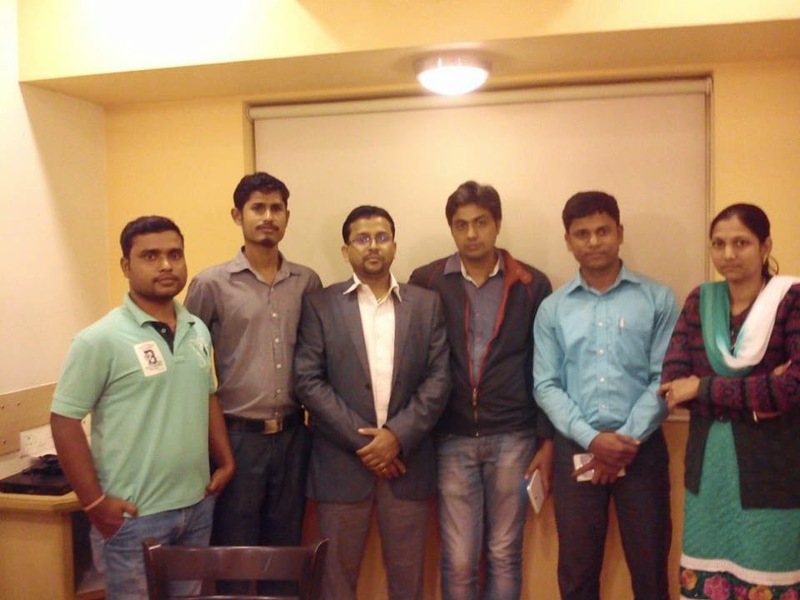 Ranjan Jena is the founder of eMarket Education, a digital marketing training institute in Bangalore, India.